Opossums are famous for their cowardly nature. They appear threatening, but are essentially harmless to humans. The United States’s sole marsupial is a very primitive creature. They have not adapted to recognize threats effectively, making them very easy to capture while rendering their defense mechanisms virtually useless. Opossums are known to crawl under homeowners’ decks and sometimes make their way into people’s attics. They are capable of utilizing any pre-existing gaps in the structure of your building as well as any holes created by other animals in order to gain access to your house. Call Buckeye Wildlife Solutions at 844-544-9453 and get rid of annoying opossums today! Removing Opossums from the Area. 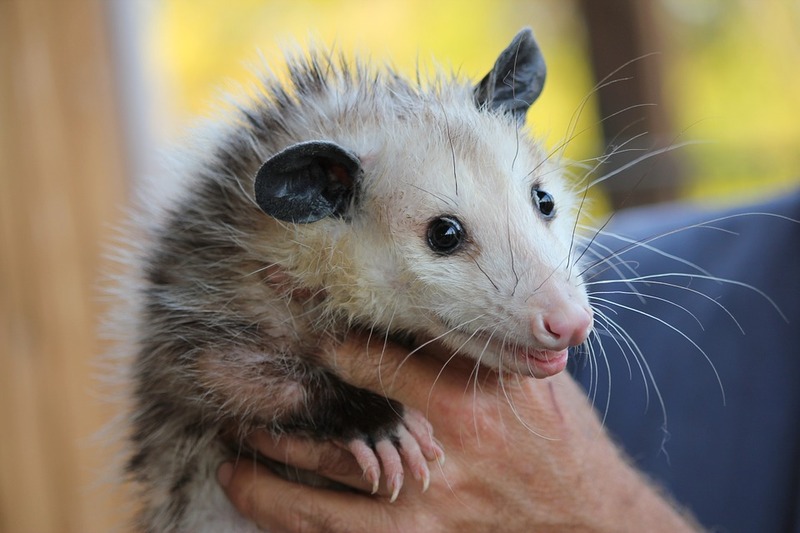 Opossums are small-to-medium sized creatures, growing to the size of a cat in adulthood. Opossums are not aggressive and are known best for the proclivity to play dead when threatened. They have an extremely effective, robust immune system. They are omnivores, meaning they will eat both plants and other animals. Insects are a favorite of the opossum, as they are easy, nutritious targets. Some opossums will even eat small snakes if the opportunity presents. Opossums are solitary creatures, preferring to live and operate alone. They are nocturnal, meaning they carry out the majority of their daily activities at night. Opossums avoid contact with humans and prefer to be left alone. They will not attempt to confront you or any other animals on the property such as a family pet. However, you do not want any pest taking residence on your property in order to prevent lingering issues. 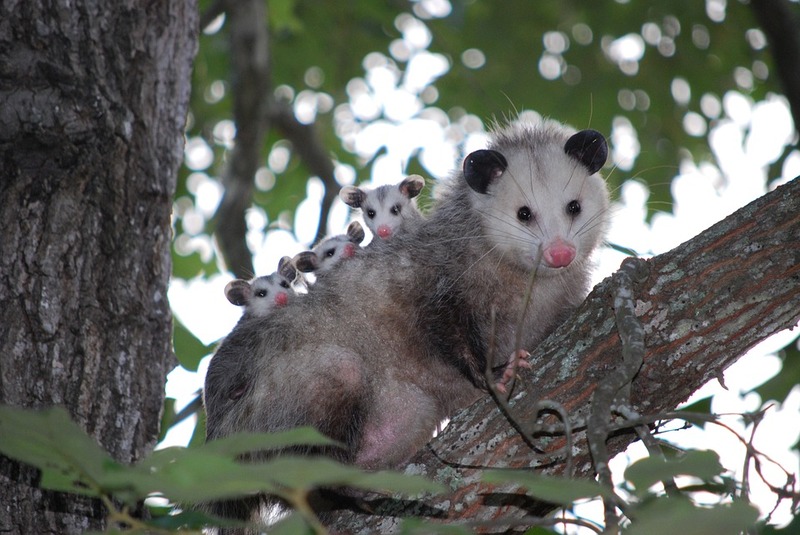 Opossums will use shelter on your property as a nesting ground, as they do not like to create their own nests. Buckeye Wildlife Solutions specializes in humane opossum removal. 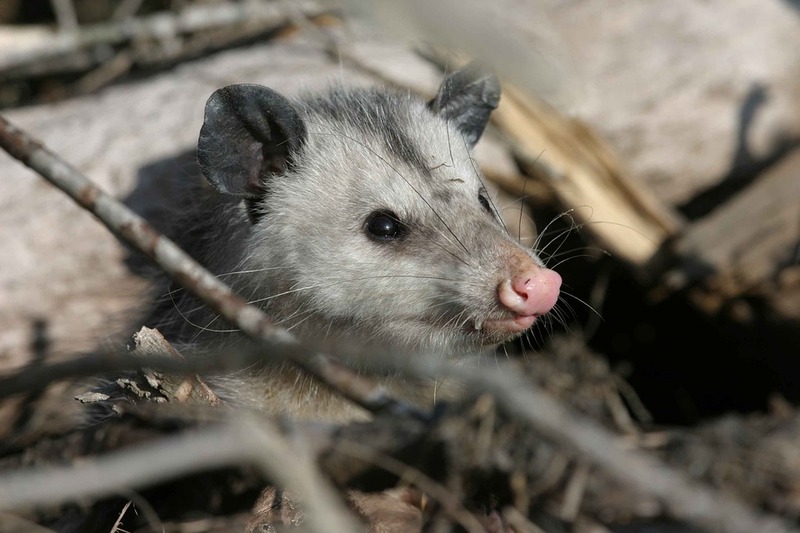 If you have an opossum problem and need the help of a professional, call Buckeye Wildlife Solutions at 844-544-9453! Why Do Opossums Act So Strange? 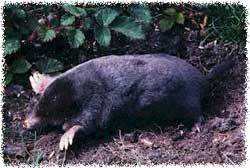 Playing dead is one of the strangest defense mechanisms in the natural world. 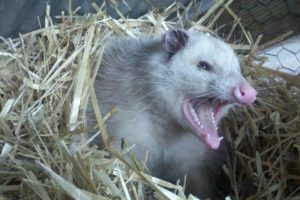 Opossums do so in order to fend off would-be attackers, but one may question how and why this works. Opossums are capable of mimicking not only the appearance of a dead animal but also the smell. They secrete a fluid which gives off a scent suggesting the animal has been dead for a significant period of time. An interesting discovery about opossums’ ability to play dead was made in that the action is not voluntary. An opossum’s brain automatically puts the animal into the state of “playing dead” when a threat is sensed. This dates back millions of years, meaning the defense must have worked against predators throughout time. Buckeye Wildlife Solutions is Central Ohio’s leading opossum removal service. Give us a call at 844-544-9453!